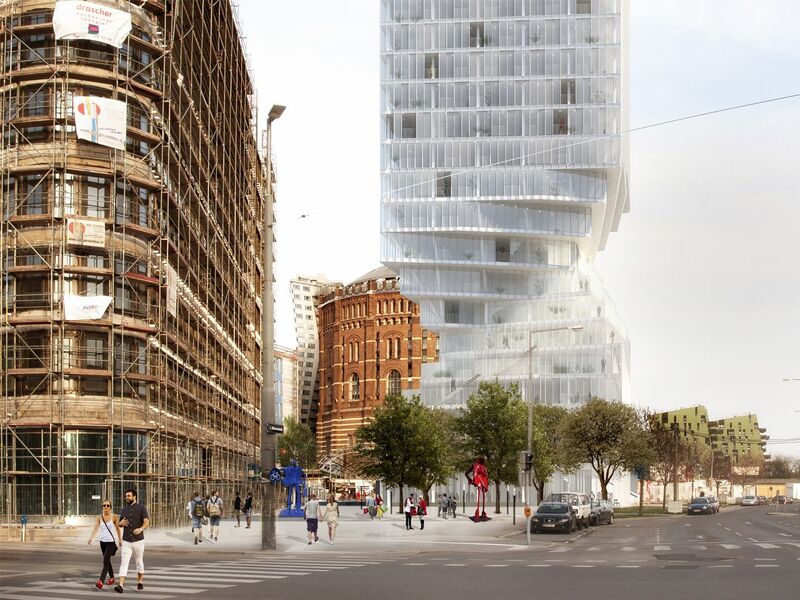 MVRDV wins tower competition in Vienna, Austria. 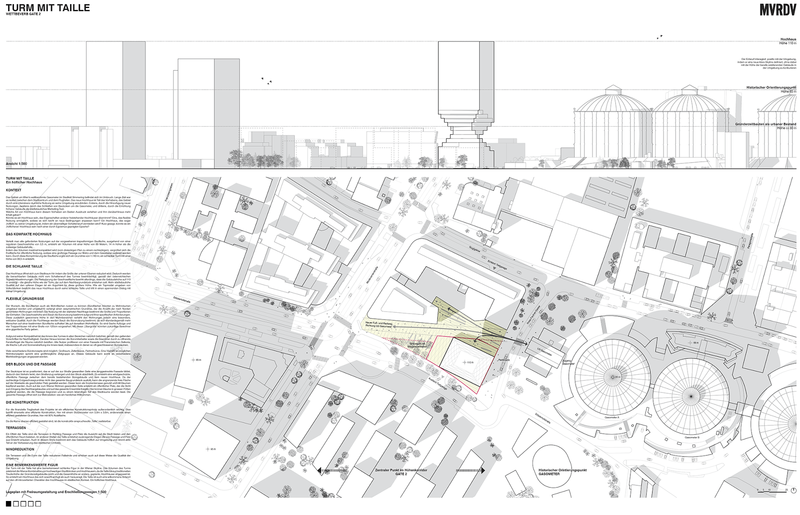 The area of the famous Gasometers is located between the airport and the city centre and is in need of significant urban regeneration. 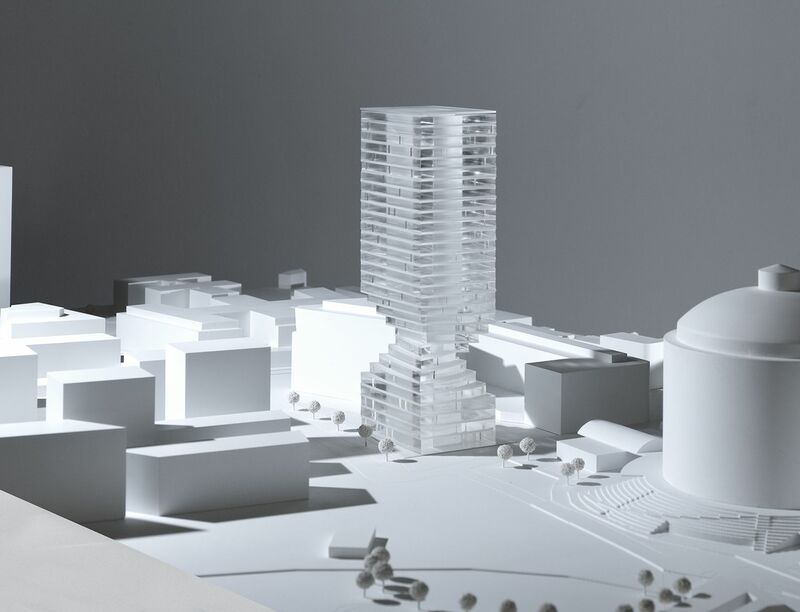 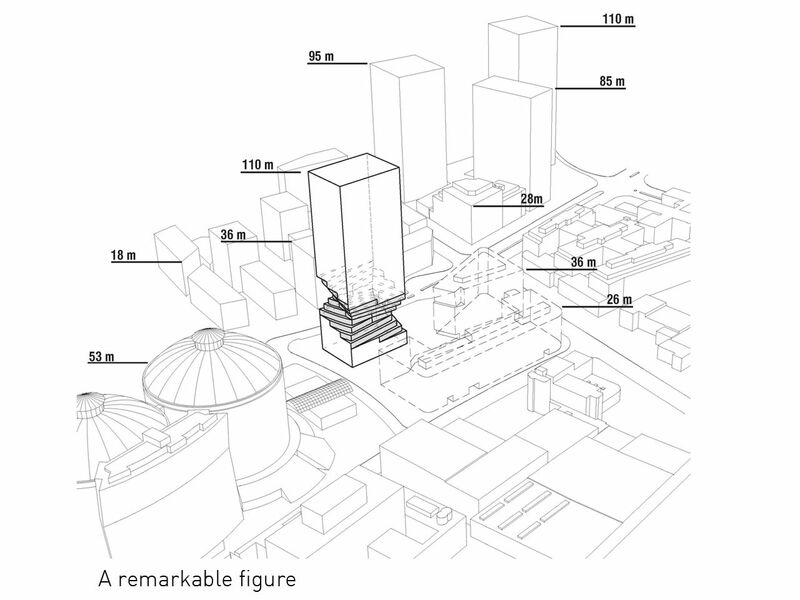 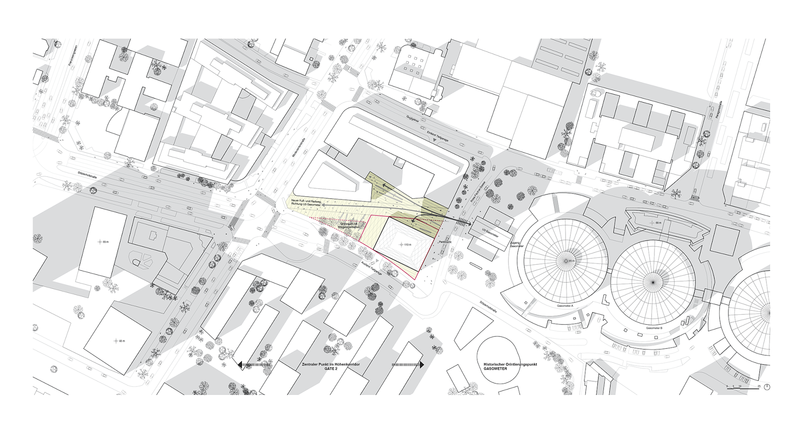 The site for the tower is directly adjacent to a metro station, and building regulations initially restricted allowable construction to a 75m high volume, which should be trapezoidal in plan. 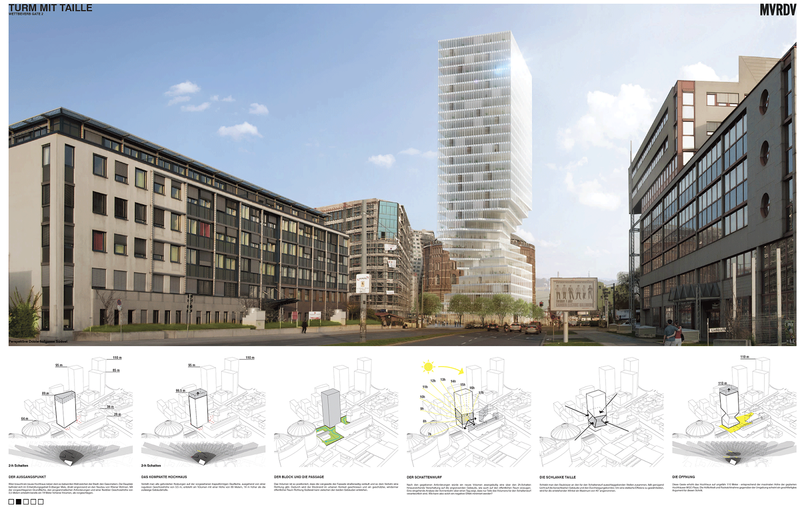 MVRDV proposed a more compact and efficient square layout, which resulted in a taller volume to make up for the reduced footprint. 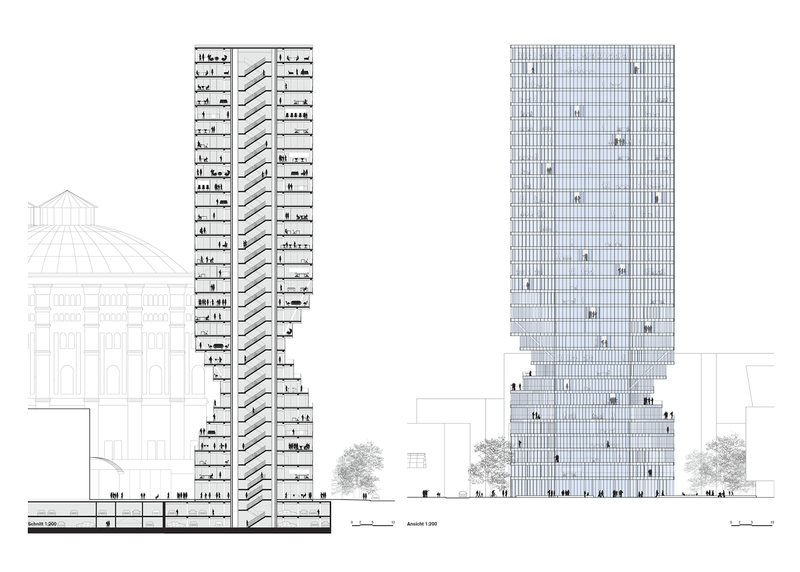 In exchange for these concessions in the building’s volume and plan, the impact of the building’s shadow on its neighbours was minimised by MVRDV. 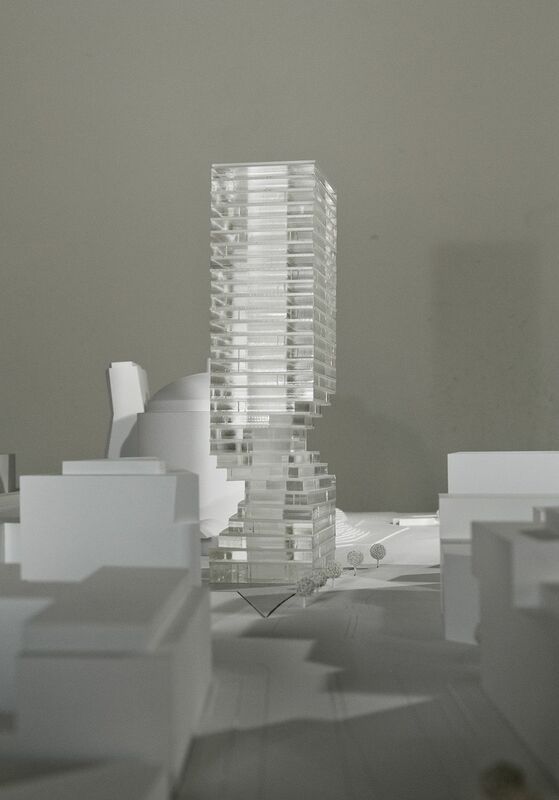 The solution was to parametrically shape the lower 10 floors of the building into a twist, to minimise the structure’s shadow cast onto the neighbouring facades to only two hours a day. 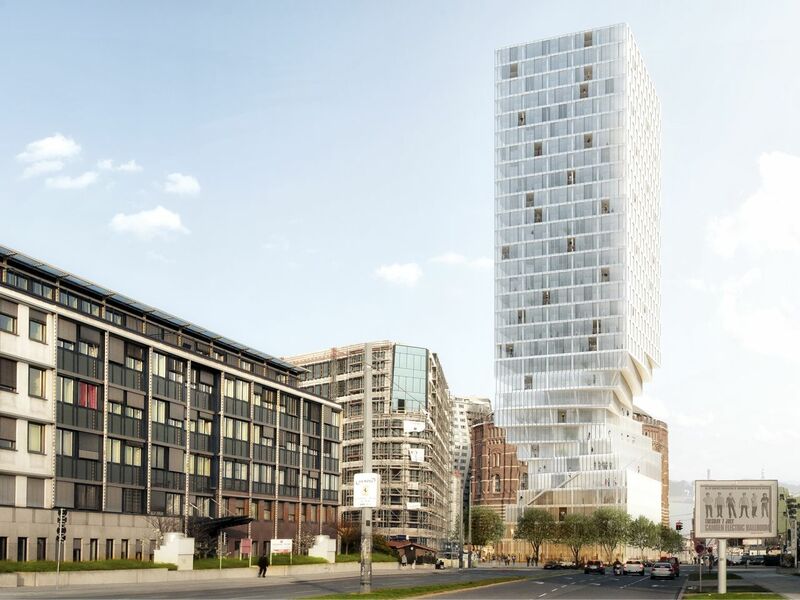 Winy Maas, co-founder of MVRDV says: “It is nice to see that if we take the two hour cast shadow regulation seriously we are able to create an unprecedented tower. 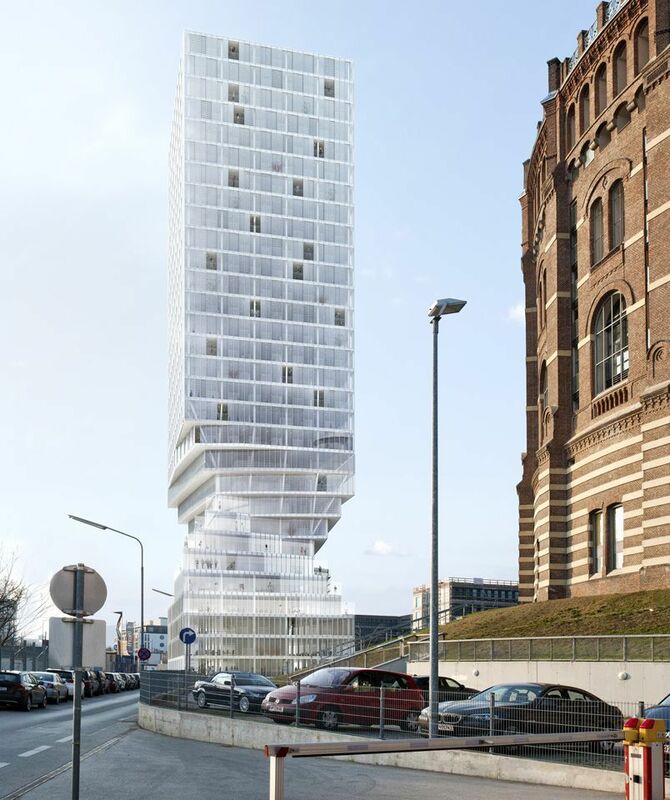 A tower with a slender ‘taille’. 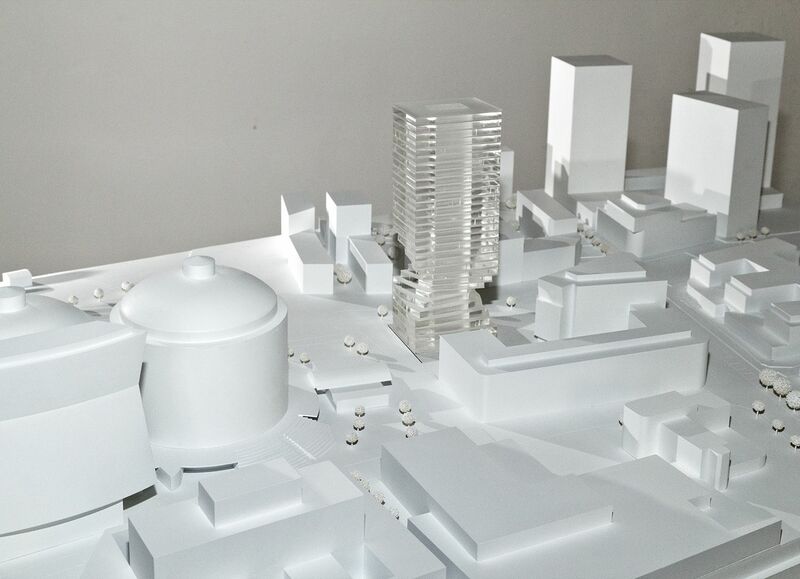 Isn’t that the classic definition of beauty?” Through this operation, an elegant, hour-glass figure emerged that responds to its surroundings by opening up views towards the Gasometers and the rest of the city. 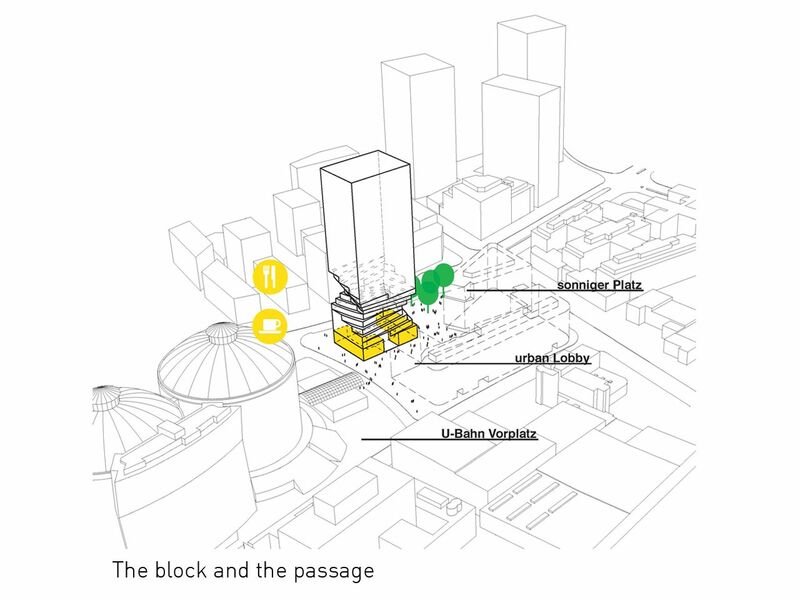 The design for the plaza around the tower becomes like a gigantic sundial, on which the shadow of the building delineates the passing of time. 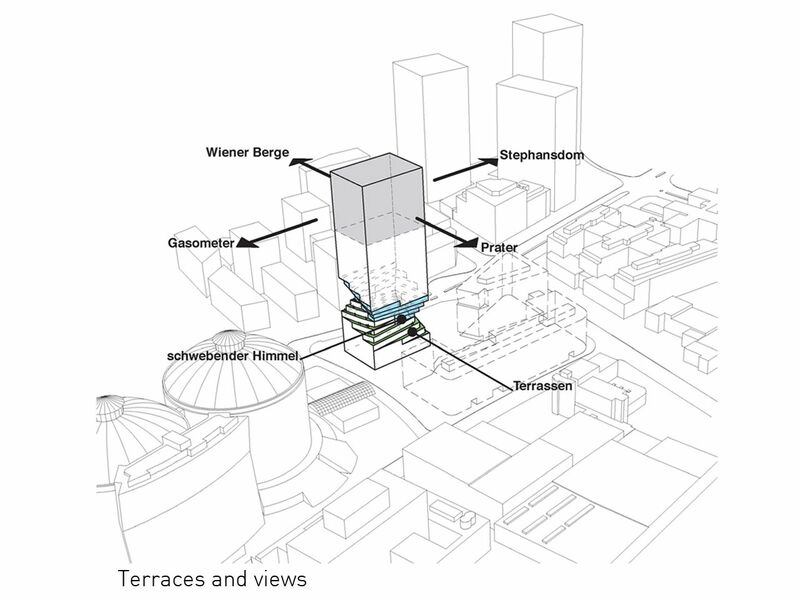 The individually shaped floors of the building’s twist, each of which are unique in plan, offer generous outside spaces connected to one another by external stairs. In doing so, the twist helps to enliven the lower part of the tower, connecting it to the plaza below, and allowing for a degree of direct access which is rare in urban environments so often characterised by introverted tall buildings. 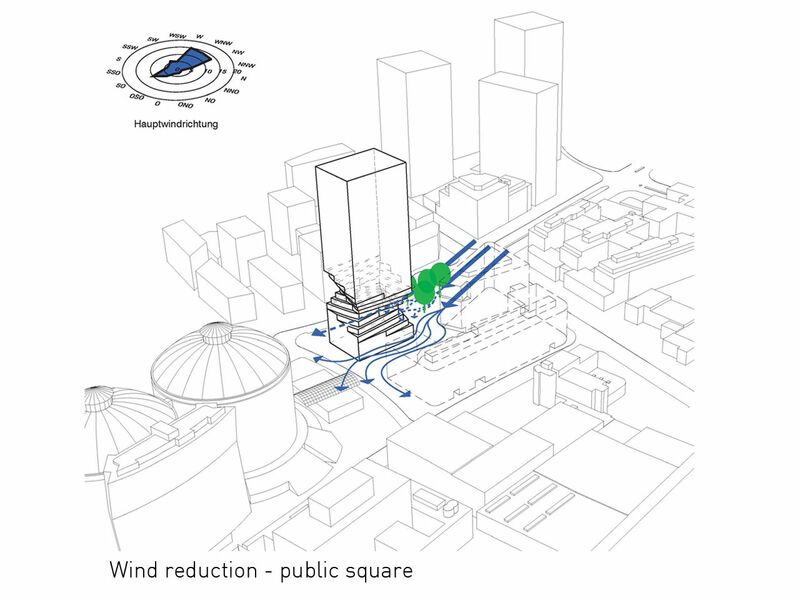 This curving ‘waist’ also functions to siphon off fierce autumn winds, a frequent phenomenon in the Danube valley, diverting the wind away from the plaza and the metro station entrances and ensuring comfort in the public space beneath. 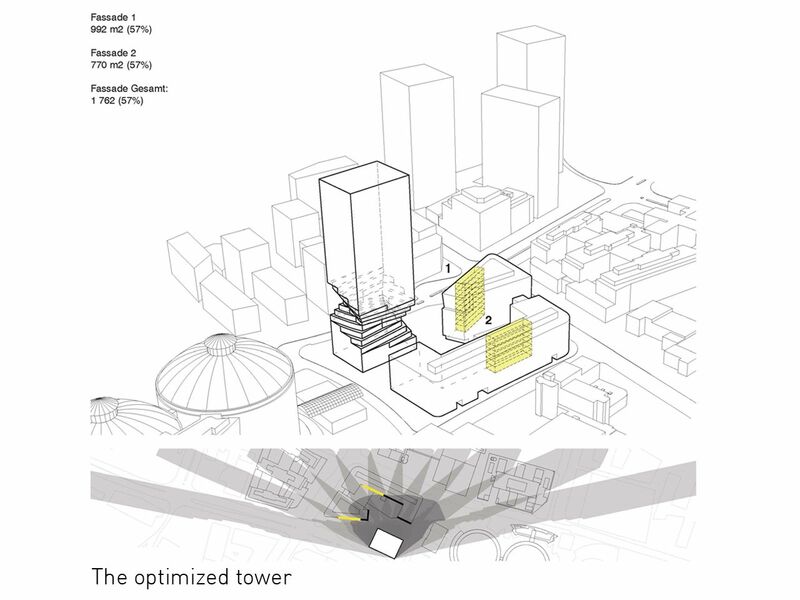 The first 10 floors twist up to the eaves height of the surrounding urban area, while the 20 remaining higher floors of the tower have a square layout. 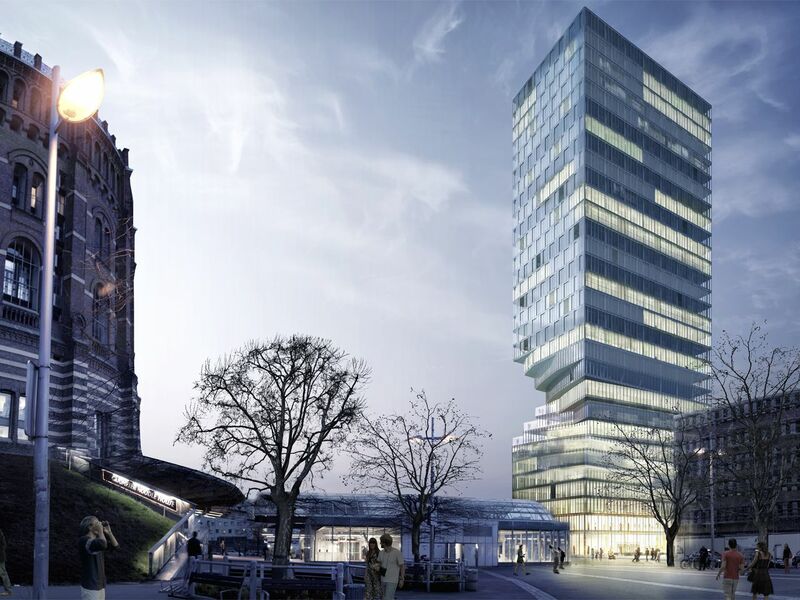 The combination of these layouts leads to a celebration of the uniquely Viennese combination of urban blocks and towers. 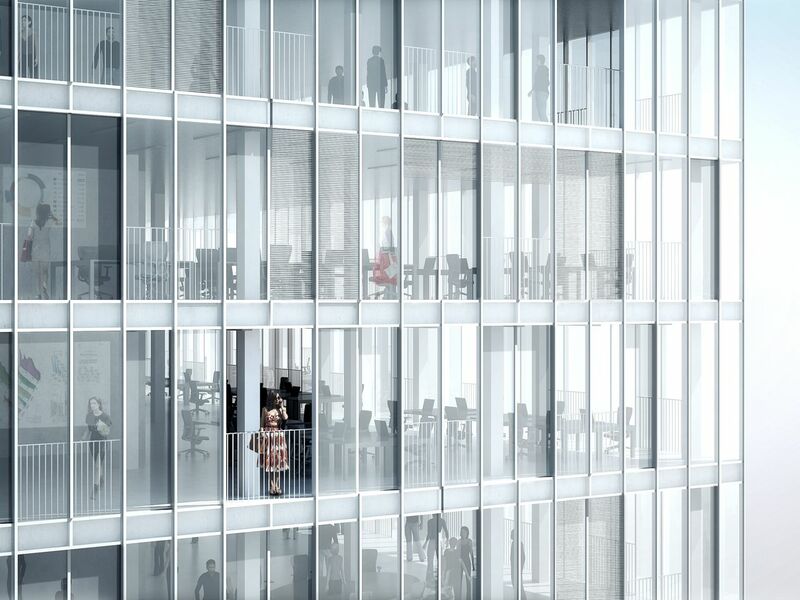 The square layout and efficient core distribution enhance this flexibility and result in a net floor surface of 80% of column-free spaces which feature a 3,5 meter ceiling height. 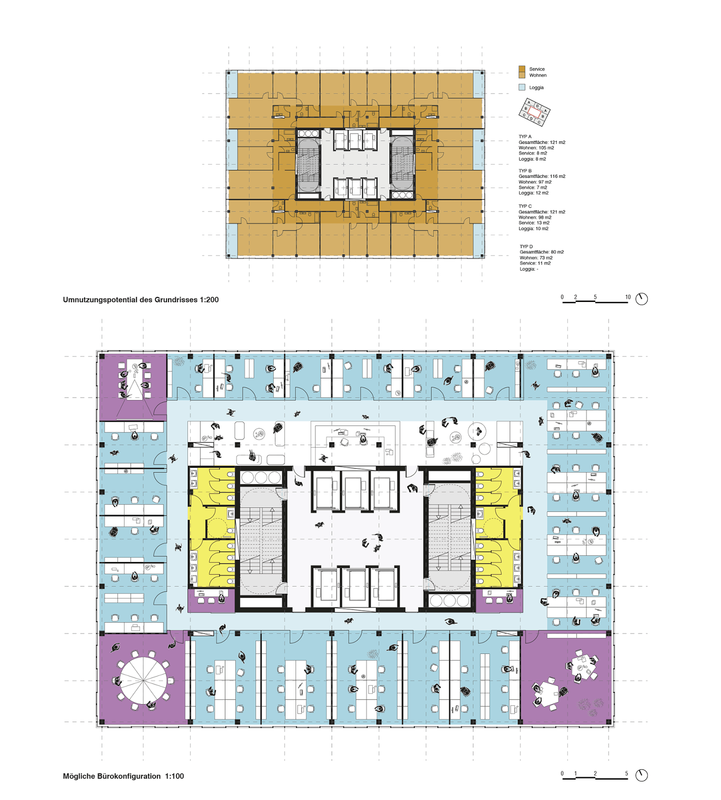 The floors of the building can be developed into housing or a wide variety of office configurations, from open plan to division into smaller spaces, and due to its flexible structural layout, the tower can be reconfigured functionally at a later stage. 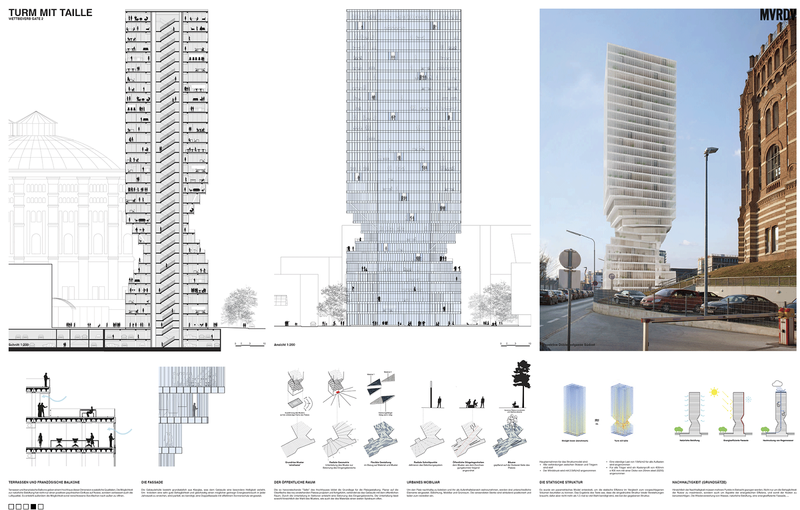 The tower will be realised in a cost effective structure of composite columns and concrete slabs. 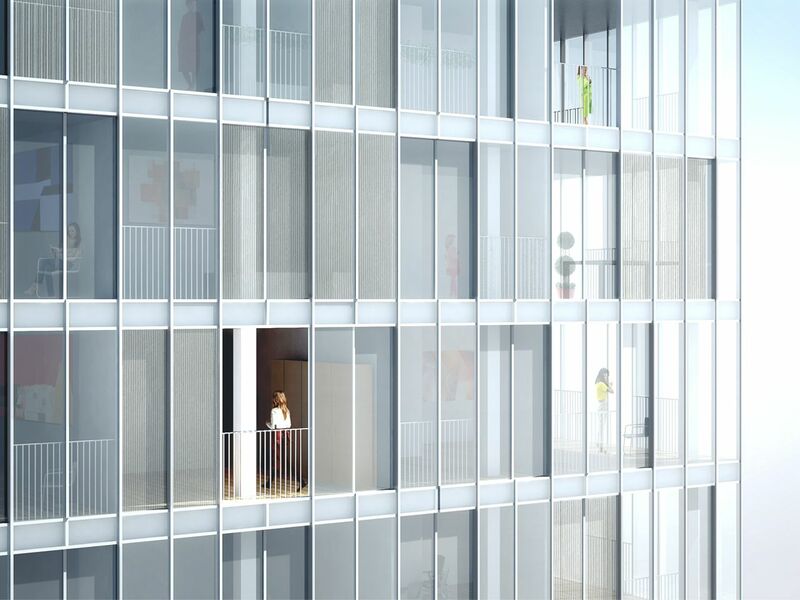 The steel and glass façade will include operable windows and full-height French doors in order to allow for natural ventilation. 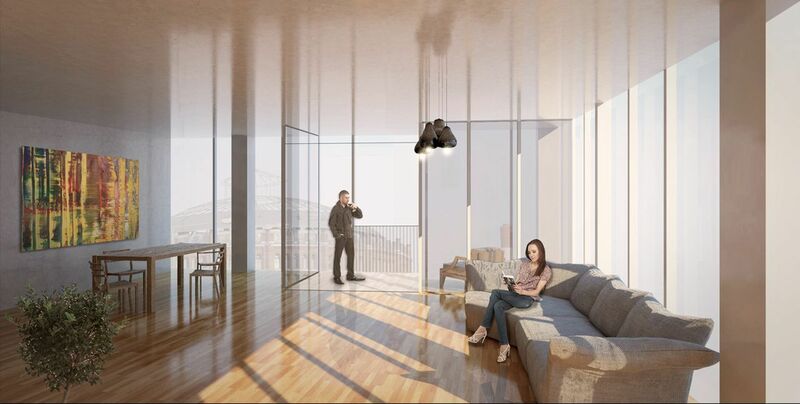 Parking is provided in the basement with 110 parking bays, and the building will also benefit from excellent transit connections due to the immediate vicinity of the metro station. 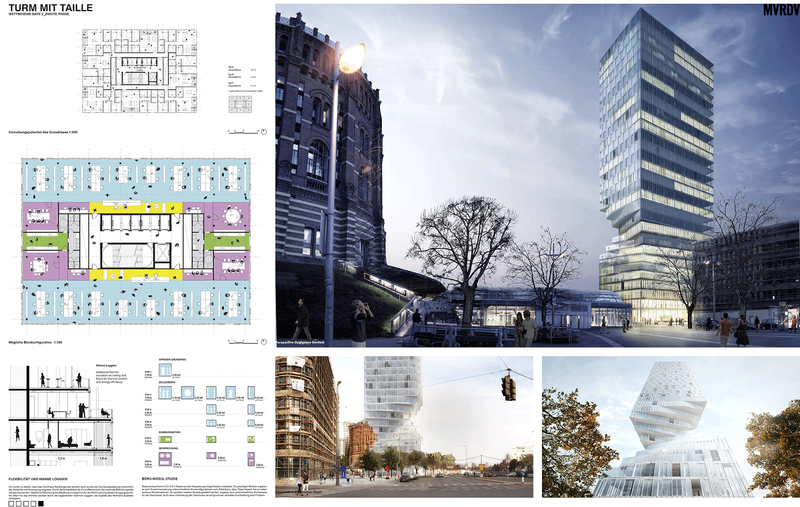 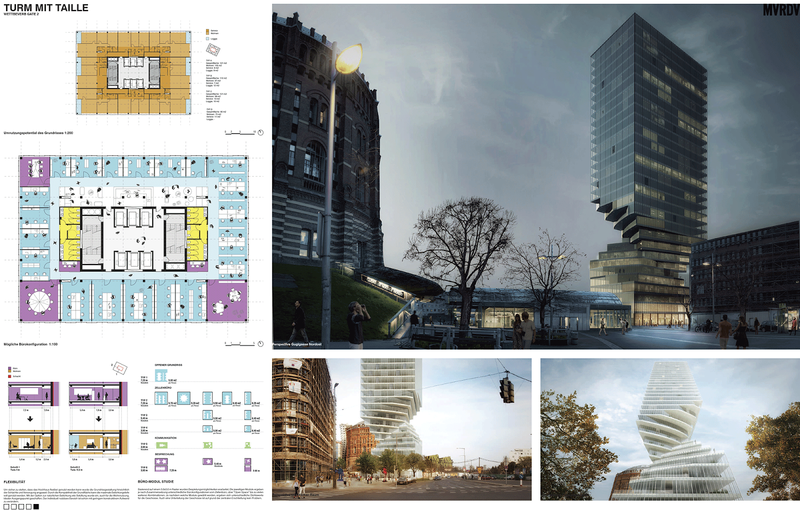 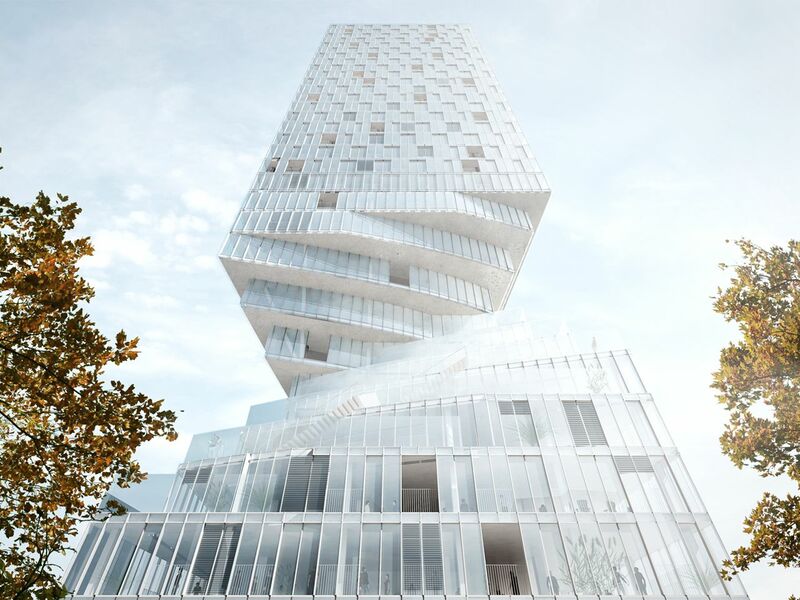 MVRDV won the competition to design the tower together with Bollinger + Grohmann Ingenieure Wien (struc-ture) and Energy Design Cody Consulting (sustainability). 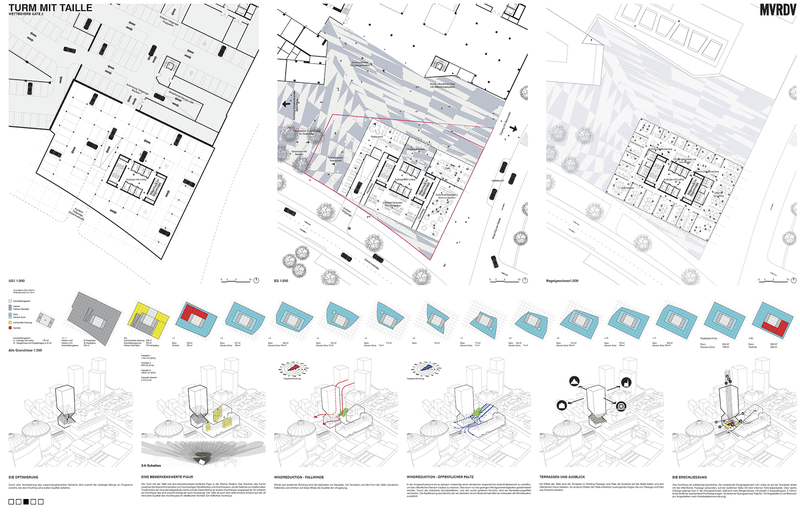 Other participants in the two stage competition were Dietmar Feichtinger Architectes, Dominique Perrault Architecture, KCAP Architects & Planners, Bevk Perovic Arhitekti, Delugan Meissl, Burkard Meyer Architekten, BSA, Sauerbruch Hutton, Nieto Sobejano Ar-quitectos, eep architekten and Pichler & Traupmann Architekten.